Bonjour lecteurs! I am so happy to feature Petiotes on the blog today. 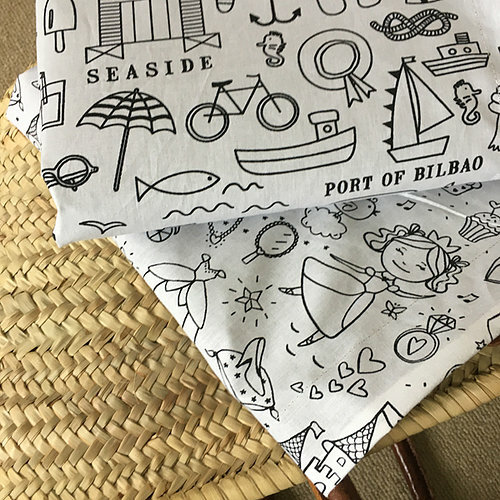 It is a fab giveaway including a picnic blanket and I am sure you will have many occasions to use this gorgeous item when you organise un pique-nique. Maybe will you do so over half-term? 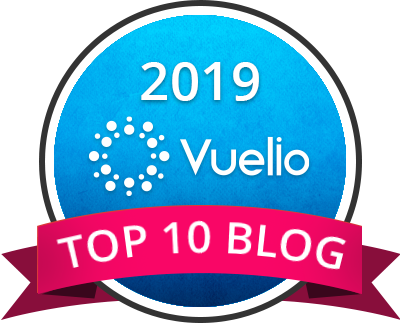 Without any further due, here is our last post from our Blog Anniversary Giveaways. 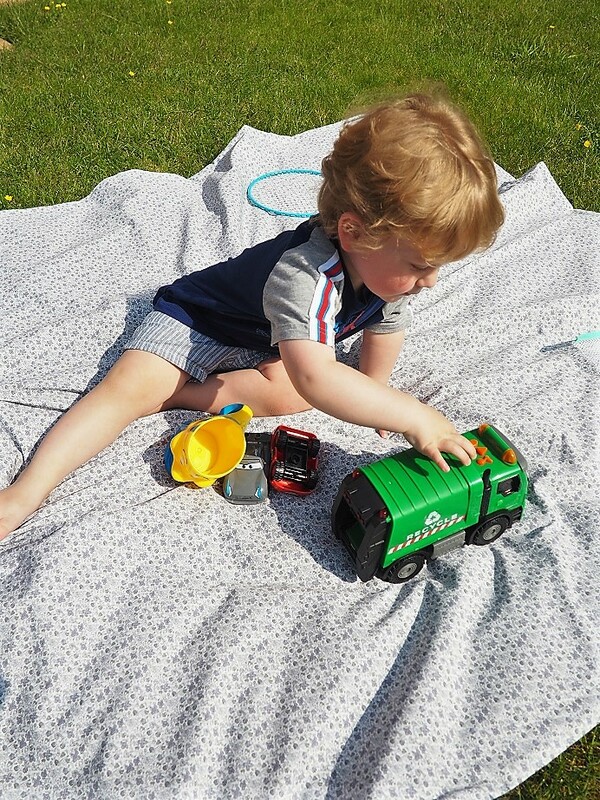 Win a Petiotes Picnic Blanket Worth £49. But do not worry, we will have more coming up over the next few weeks! 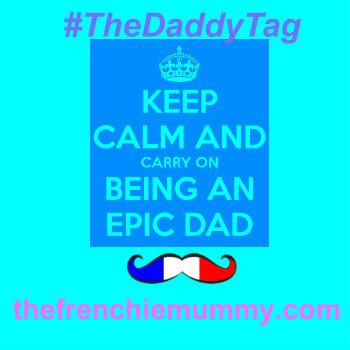 So make sure you follow the Frenchie Mummy on all channels and you will have more prizes coming up your way! Not sure where to find us? We are on Facebook, Instagram, and Twitter! But for now, let’s spoil you! Aujourd’hui, I am so happy to present you with Petiotes, a gorgeous boutique created by a fellow Frenchie Mummy. Laure lives in London with her two little ones. After having worked over 10 years in the fashion and luxury industry, she created her own brand Petiotes in 2011. Back to Petiotes! The adorable boutique offers products for little ones and their dear mamans. It is a very good place to find some unique gifts for them. Indeed, Laure proposes a lot creative and personalised accessories such as cushions, lamps and even passport covers! But today she sent us a very beautiful picnic blanket! If like moi, you like being a un peu original or simply love a bit of Frenchieness, you will immediately fall in love with Laure’s blankets. Each one is more beautiful than the last! We will show you in details the Picnic Blanket LIBERTY GREY MINI MEADOW that we got, but truly there is something for everyone! Loving something colourful and bright that will bring you on holidays? Have a look at the Tropical Beaches print! Such a gorgeous print for the Summer! Do you want something a bit more fun for your boys? What about the Green Scooters version? And if you want to keep the children occupied and fancy a blanket really unique then go for the one you can colour! Pour les garçons et les filles, there are two versions to please everyone! C’est idéal when you have some family time at the park! 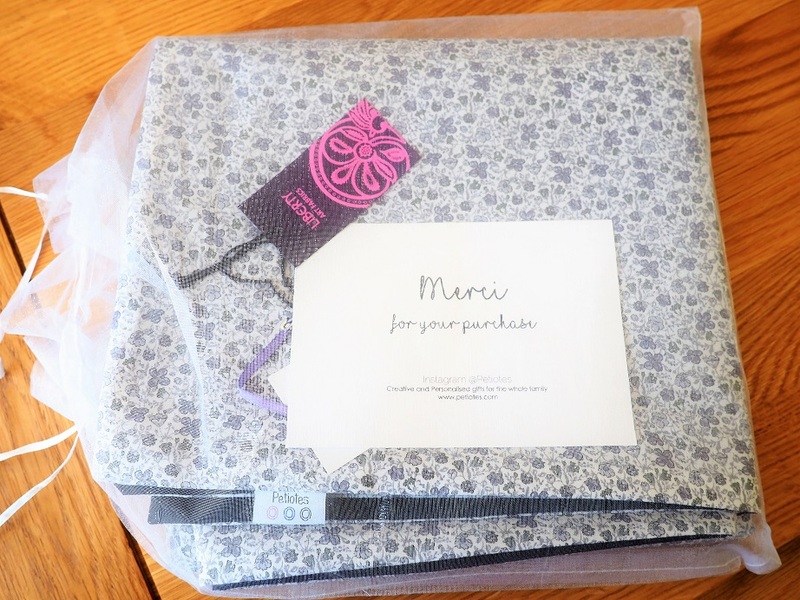 As I am a bit girly and fancied something for moi, I went for one of the beautiful Liberty prints available on the website. After all, Baba always gets the fancy parcels! So it was my turn to be spoiled! And I was not disappointed with the result! I loved it as soon as it arrived. I am in love with my new picnic mat! Made out of beautiful and handpicked cotton fabric, it is so beau! So nice to play outside! Light and easy to handle, it doesn’t take much space in your bag! Yet, it is super big when you unfold it for more fun! I particularly love its print. But you can also use it as a blanket for a little snooze! 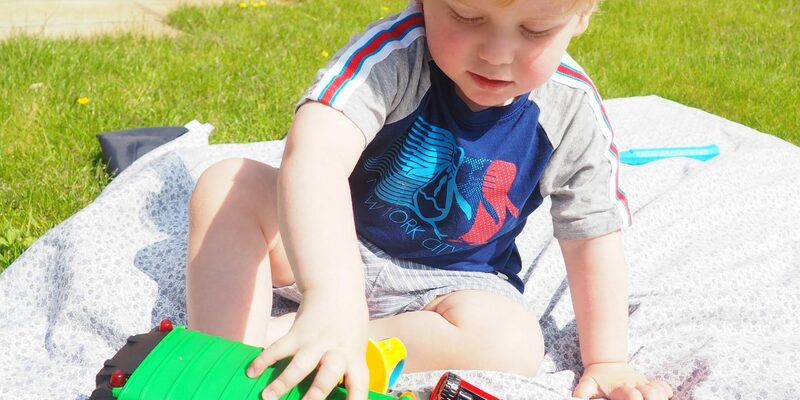 Plus, this picnic blanket is machine washable at 30 degrees so it is great! Petitotes offers really something different and unique and each item is beautifully handcrafted with some stunning prints! We will definitely use this couverture as often as possible! It will also be the best ally next time we go to the seaside! And Baba remained clean! Hurrah! Fancying a bit of Frenchieness to go out and about this Summer? 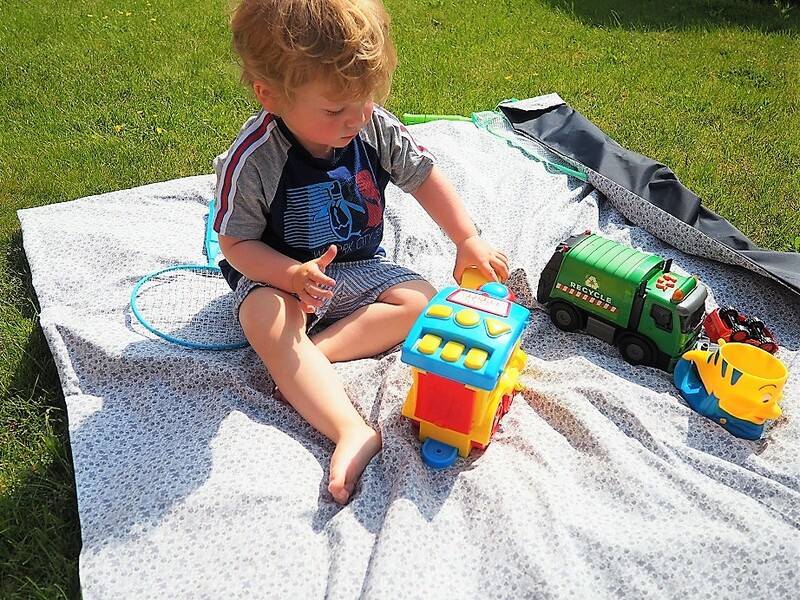 Win a Petiotes Picnic Blanket Worth £49 now with our last Blog Anniversary Giveaway! Win a blanket too! It will be handy for the Summer! Please note that you will be able to select a blanket of your choice, but the prize excludes the £79 Liberty picnic version. This giveaway starts on Saturday 26th May at 6 pm and ends at midnight on the 26th June. Provision of the prize is the responsibility of Petiotes. Frenchie Mummy can’t be held responsible. 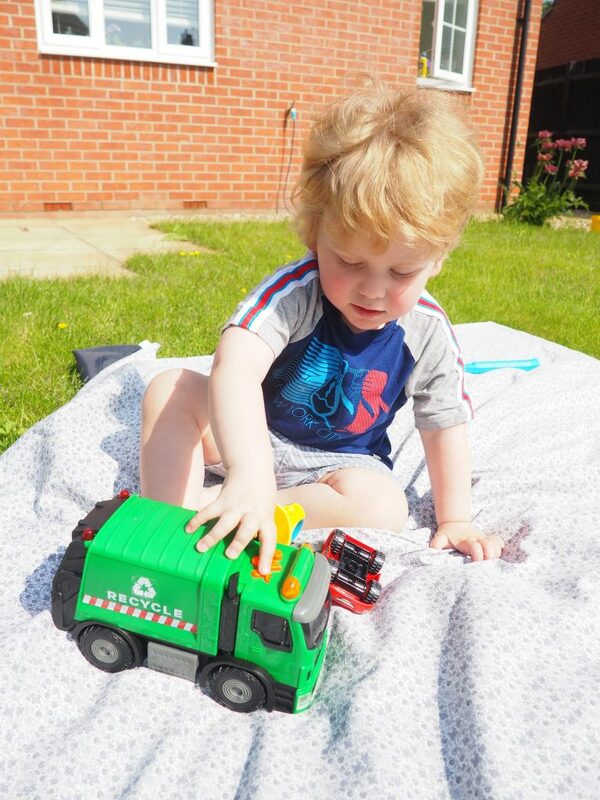 Merci for reading our new post from our Blog Anniversary Giveaways, Win a Petiotes Picnic Blanket Worth £49. Loving what you see? Why not check out our Giveaways‘ section for more fabulous prizes to win with us! 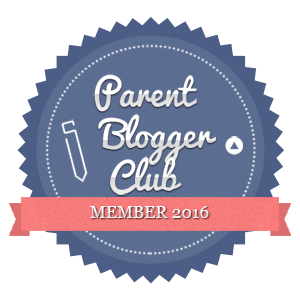 Our Blog Anniversary Giveaways Series is now over but watch out for more fabulous competitions soon on the blog! Disclosure: This is a collaborative post with Petiotes. I love the old pink flowers design! Thank you! I like the grey stars. These are all so beautiful! I think my favourite is the grey stars! I love the Princess Colouring blanket , what a fab idea! They have some lovely designs but the Fucshia Stars caught my attention first. Picnic Blanket BLUE FLOWERS & RASPBERRIES is lovely, so I think, that would be my choice if I was the lucky winner! I love the Tropical Leaves print – perfect for Summer! This is difficult because they are all beautiful but I particularly love the Old Pink Flowers best. I particularly like Blue Scales – it’s a lovely muted shade of blue and an attractive pattern. I like the Coral Trees. What a lovely prize! I really like the grey stars print ? The Picnic Blanket Marine Coloring is delightfully bold and different. I like the Tropical Beaches print! i really like the grey stars picnic blanket the best. My favourite design is the Picnic Blanket TURQUOISE STARS. Fuchsia Stars is really striking. 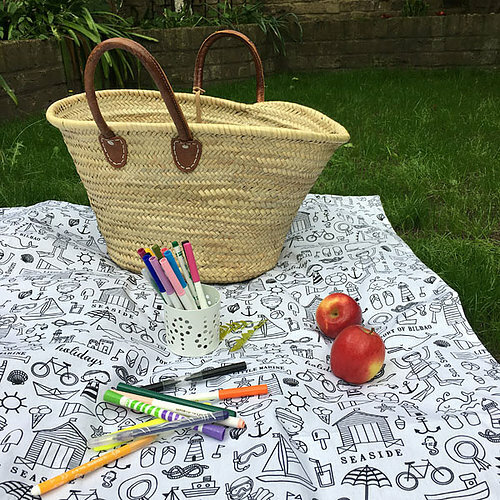 I love the Tropical Leaves design – just perfect for a picnic in the park. I love the tropical leaves print! I like the Grey Stars picnic blanket! I love the Navy Crane Birds one. Thanks for this, I really like the Picnic Blanket TURQUOISE STARS. Grey stars is my fave!! I think I’d choose turquoise stars. 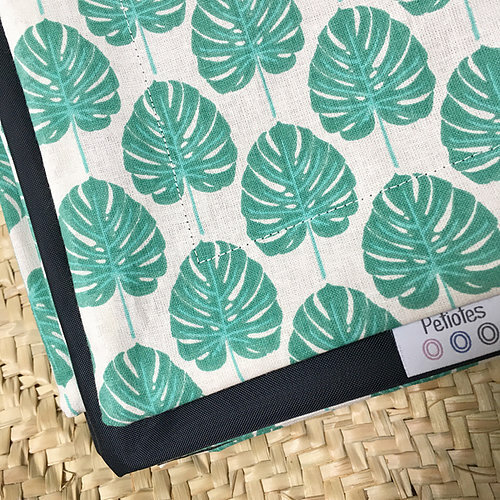 I would choose the tropical monstera leaves print blanket. Perfect for the kids and for a day at the races. So many nice ones but I think I would choose the navy crane birds! Love love love the ‘Navy Crane Birds’! Loving the tropical leaves – takes me to a desert island and peace and quiet lol!! The Navy Crane Birds is my favourite design. 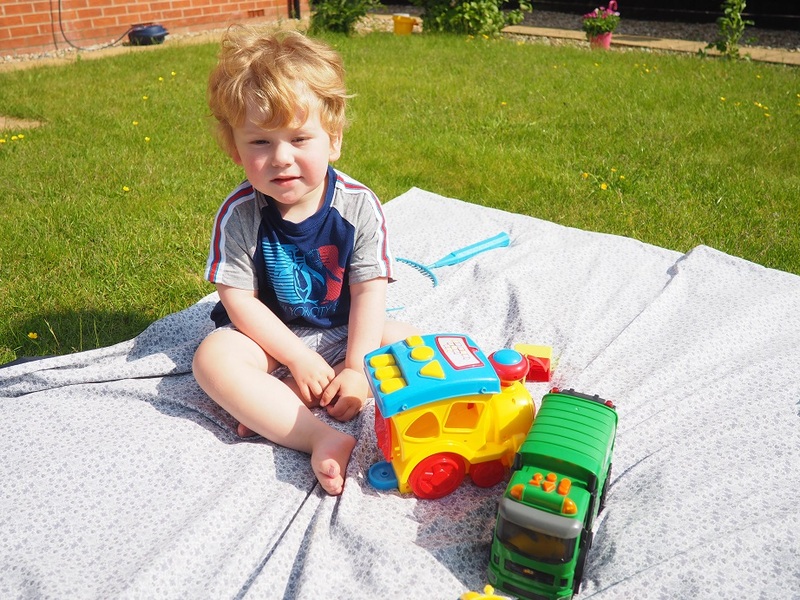 I like the picnic blanket cars, balloons and helicopters. It’s really hard to choose! I most like the navy crane and the tropical leaf print. But, were I to win I’d have to choose a colouring blanket because how cool! It was difficult to choose as there were 3 I really liked but I think my ultimate favourite is the Navy Crane Birds. I love Blue Flowers and Raspberries. It’s perfect for a healthy outdoors picnic! I neeeeeed the grey stars!!! I like the FUCSHIA STARS print. It looks so bright & lovely. Need Need Need the grey stars in my life! Love the tropical leaves. I have a coat in the same design. Love the Tropical Leaves print. The tropical leaves is amazing! I like the grey stars blanket, it’s classic and universal! The Blue Flowers and Raspberries pattern is my most favourite. The tropical beaches print is my favourite. I love the ‘Tropical Beaches’ print. LIBERTY PLUM TATUM is my fave! They are all lovely but I think my favourite is the blue flowers and raspberries. It is so pretty. I love The Old pink Flowers design, it is so pretty. I love the Tropical Beaches print the best. Marine colouring is my favourite! I love the crane bird print and all of the floral ones! I love the grey stars! Such gorgeous blankets and such a generous competition. Happy anniversary! Grey stars one looks great. My favorite is the turquoise stars picnic blanket. I like the Tropical Leaves print. Navy Crane Birds is my favourite print. Blue scales is my favourite off the website, however if i had to choose one you’ve feautred then I like the white beach scene one. Thank you ? I’m loving the grey Liberty print today, as I feel really summery! My favourite is the FUCSHIA STARS print. It looks so bright & lovely.